There will never be another Eddy Choong. The 82-year-old legend, winner of four All England singles titles and over 450 titles worldwide, passed away on Monday, leaving a vacuum behind. Eddy was a champion in the best traditions of the sport. 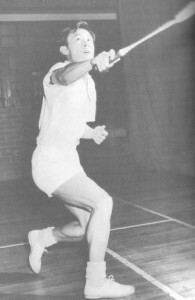 He saw himself as an ambassador not only of badminton, but of Asians in sport. He would often talk of how he saw his performances as a means to rectifying racial divide; he was equally concerned about how well champions conducted themselves. Any great player is like a shooting star. You will not be there always in the sky. The most important thing is to leave something behind. I’ve created 20 world champions. My last student was Misbun (Sidek), 30 years my junior. I have students all over England. Erland Kops (seven-time All England champion) was my student. Kops was the first Danish player to train in the Far East. He stayed with me for one month. Earlier, he could never beat Charoen Wattanasin (Thailand). I changed his mindset. He was bad-tempered, and would use all his energy at the start. I taught him to change his style, to become aggressive once his opponent got tired. Before Prakash Padukone became All England champion, he came to Penang and lost to an Indonesian player. I was asked to speak to him. I told him, there are three aspects to the body (of the player): legs, arms, and heart. Prakash was a vegetarian. His legs were weak, but he had beautiful upper body shots. I asked him – you want to become world champion? Where will you get vegetarian food all over the world? So change your diet. There’s a difference between the street fighter and the trained fighter. The street fighter will tell you you can hit him ten times, but he needs to hit you only once. The trained fighter, on the other hand, will try to avoid getting hit. In 1950, I went to study law. The course was for four years, but I needed eight. My father asked me why do you pass in summer but not in winter? I played 20 tournaments during the six winter months. My training methods were so ahead of its time. Do you know my record? In 24 weekends (six months), I played 20 weekends, and won most of those tournaments. I won over 450 tournaments. I played for eight hours each day. I did racing for 15 years in Malaysia and Singapore. I got more trophies in motor racing than in badminton, because in badminton you can win one or two trophies in each tournament, but in racing there are different categories, and I got thousands of trophies. I was fast track champion, go-karting champion and sprint champion of Malaysia. My father didn’t like me entering circuits. So I did hill climbs, sprints, autocross and go-karts. One time I was about to race, and someone got killed, so I withdrew. After that I did not compete. I’d used an assumed name because I didn’t want to annoy my father. If you stop learning, if you become arrogant, you’re no longer human. One lifetime is not sufficient to learn about a sport. There are two aspects to the development of a sport: the development of the human body and the development of the equipment. The body hasn’t improved much in all these years; perhaps it is less than 20 per cent. The equipment has changed a lot. I was the first to develop a jump smash. I forced the international federation to regulate the length of the racket. I was born with a strong heart and quick reflexes. My reaction time was very fast. If my opponent trains for three hours, I had to train for six hours.